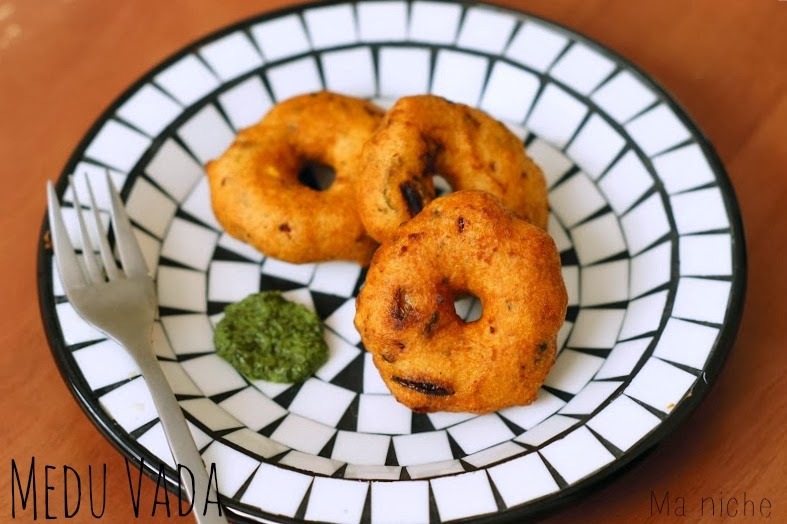 Medu Vada or Ulandi Vadai are donoughut shaped urad dal fritters that have been a traditional favorite of south India from antiquity. With exchange of food and culture, they have now become popular all over India and is often considered a healthy breakfast item. 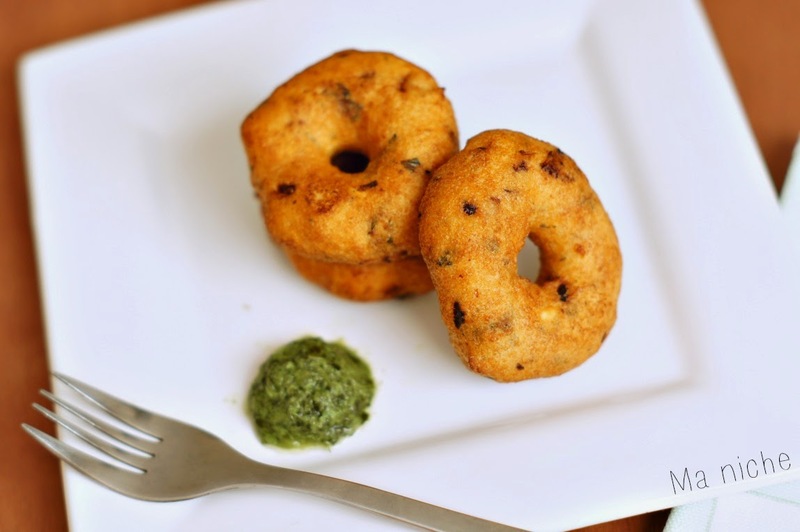 In south India they are often served with sambar and coconut chutney. 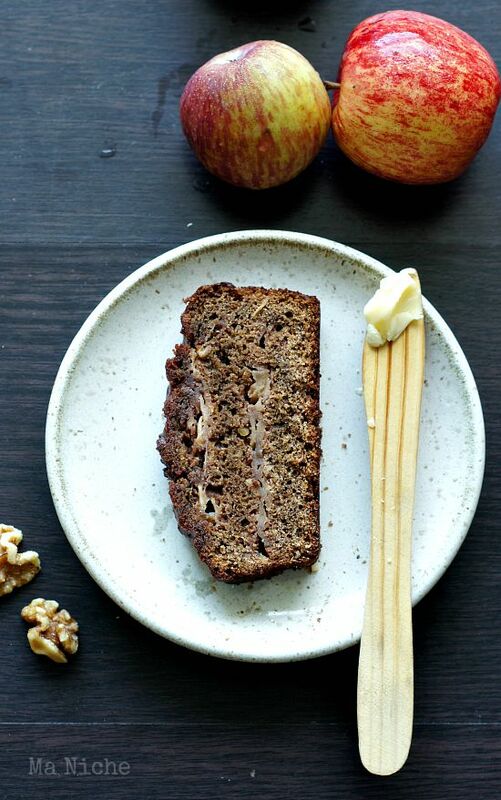 You can however serve them with just about any chutney you have at hand and enjoy at teatime with your dose of caffeine. Lately things have been somewhat unsettling around here. The thing is... we want to move back to India. But right now the job scenario in homeland does not look too promising. We feel that the fact that husband and I are both past our mid thirties is working to our disadvantage. While I do not mind a change of career, my husband is not quite prepared for it. So he is tensed and I have been doing all that I can to lighten the atmosphere at home. Cooking his favorite meals, indulging in little scoops of ice-cream after dinner and mostly listening him out.. Hopefully things will change for the better soon.. Till then there will be a lot of deep fried snacks coming out of my kitchen. Wash Urad dal till the water runs clear. Soak the washed dal in water along with the fenugreek seeds for 1-2 hours. Then using your mixer grinder or food processor grind it into a thick batter. Avoid adding water while grinding the dal. If you must, just sprinkle some water so that dal batter does not stick to the walls and base of the mixer jar. Add cumin seeds, chopped coriander, curry leaves, ginger and chopped onion to the prepared batter. Mix well and keep aside. When ready to fry, pour oil in a frying pan so that it is 1½ deep. Heat the oil to 325 ° F. To check if the oil is hot enough, drop a small amount of batter in it. The oil is ready for frying if the batter sizzles and comes up right away without changing color. Keep a bowl of water handy. You will need this while making the vadas to wet your hands and shape the batter. Wet your hand slightly, take a lemon sized ball of the batter, flatten it, then using your thumb, make a hole in the center so that the batter looks like a donut. 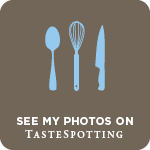 Now carefully slide the donut shaped batter into the oil and turning once or twice in between, deep fry until they are crisp and look golden brown. Serve with coconut or mint chutney. 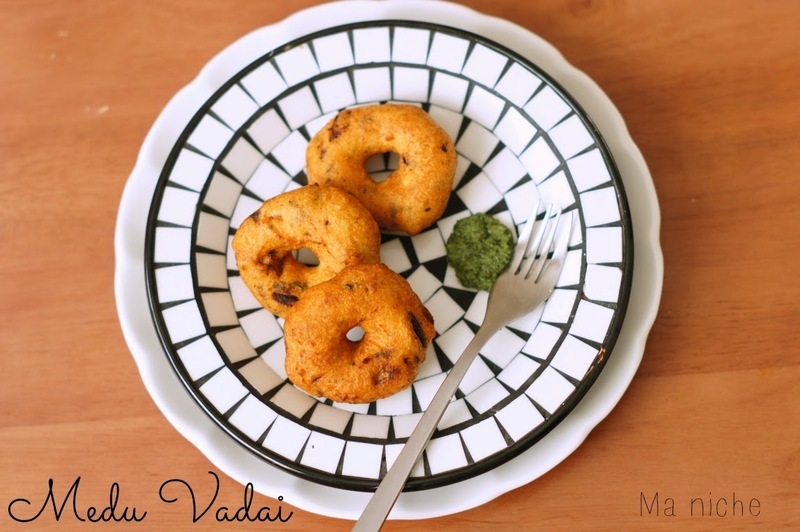 Depending upon the size of your frying pan, you can fry a number of vadas at a time. However do not overcrowd your pan, else the vadas might remain undercooked. and also share them at all these parties. 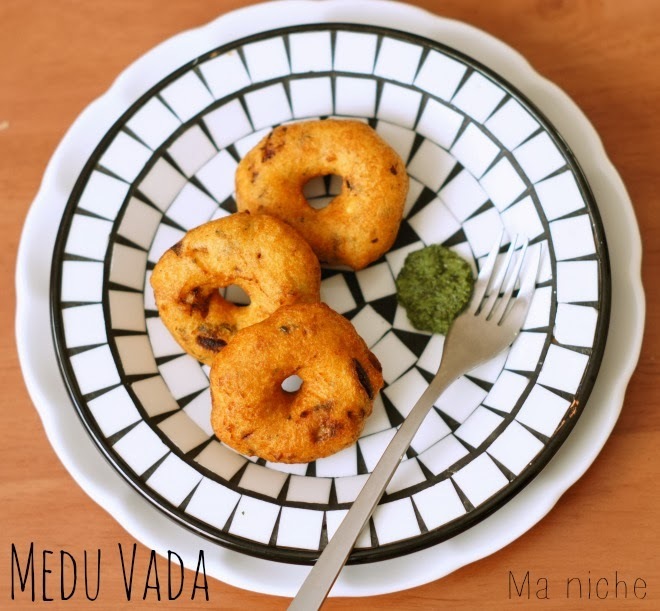 omg fantastic medu vada :) looks very delicious , I wud love to finish that plate right away !! Interesting. I've never even heard of some of the ingredients you are using. I'll have to look them up. Visiting from the Let's Get Real Blog party.